ATLANTA – Speaker David Ralston (R-Blue Ridge) attended President Trump’s infrastructure announcement at The White House this morning. 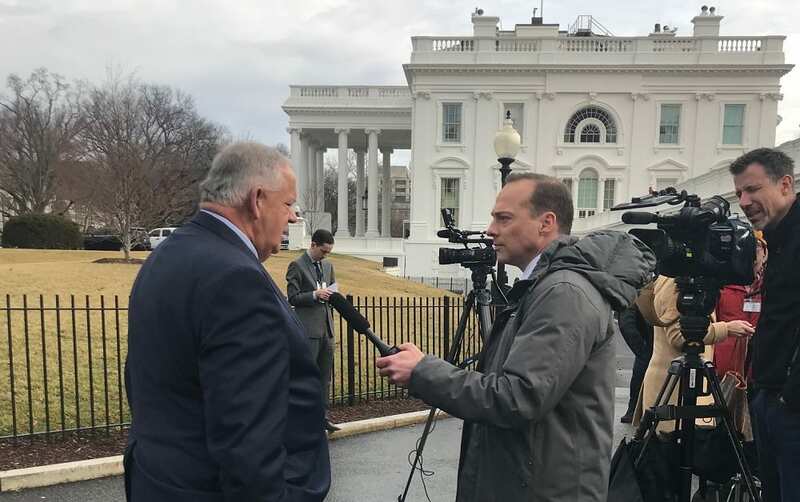 Speaker Ralston was one of several local and state elected officials invited to participate in a series of discussions with the President as well as members of his cabinet and senior staff about the plan and the infrastructure needs facing our nation. President Trump’s infrastructure plan looks to leverage the power of public-private partnerships to improve the nation’s infrastructure including transportation, water/sewer and other critical needs like broadband internet access. More details on the President’s plan are available on The White House website at http://www.whitehouse.gov.